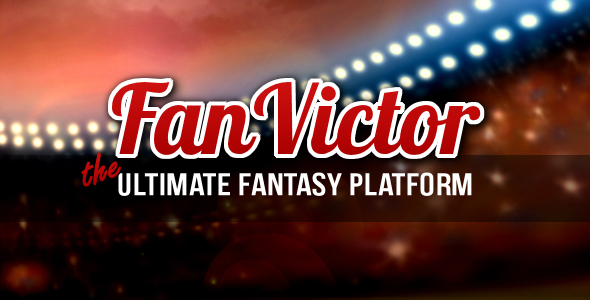 It's been awhile since our last newsletter, so this newsletter is packed with lots of great updates and useful tips to run an effective Fantasy site using the Fan Victor - The Ultimate Fantasy Sports Plug-in. We’ve added a bunch of new features, improved the performance, created new plug-in documentation and added more sports!!! Finally we created both back-end and front-end user guides. They cover almost all features we currently have. Formula 1 and Horse Racing (UK and Australian). Don't miss your chance and try these feeds while the prices are extra low! This month we released both demo iOS and Android applications to AppStore and Play Market. They are totally free! The NFL 2017 season is about to start in two months. Be ready for that! Get in the action now and subscribe to our NFL data feed for entire 2017 season. Get real time stats for up to the minute updates to your leader board. Supported on mobile as well. The English, Italian, Spanish, German and French Premiere Soccer leagues are starting in just a month weeks. Subscribe to any or all of them, it’s completely flexible. Player news: we are proud to present this really cool stuff. Now you can find the latest info about any player in any league just clicking on his name. Salary based on performance: forget about default salary of $3,000 for all players from almost all sports. Now it's based on player's performance. Better player's performance across all other players on this position in the league = higher salary. And vice versa.